A person who excels at work or task is often rewarded with a higher position, eventually one that exceeds the employee's field of expertise. In theory, employees promoted from within are already familiar with the inner workings of the companies and have a good grasp on the company's goals. But more often than not, we get people who max out at a position. Like NBA draft picks, a team should always look at UPSIDE, the ability to assume bigger roles or develop and improve as the company moves forward. With limited upside, you get an employee who becomes mediocre when promoted to a higher position. If working in a corporate gig or in an organization, people promoted to a level where they become incompetent end up trying to cover up for their weaknesses. Ending up spending way too much of time stonewalling or finding someone to blame. Having no process for demoting a person who isn't qualified for a position makes it more difficult when work bogs down due to mediocre work. The only recourse is a sad one: firing an incompetent employee. Or else the company stalls and can only do so much with people who can't hack it working at positions that require compatible skills and competitive qualifications. This scenario has been coined: 'The Peter Principle,' in a 1960s book by Dr. Laurence J. Peter, a psychologist and professor of education. 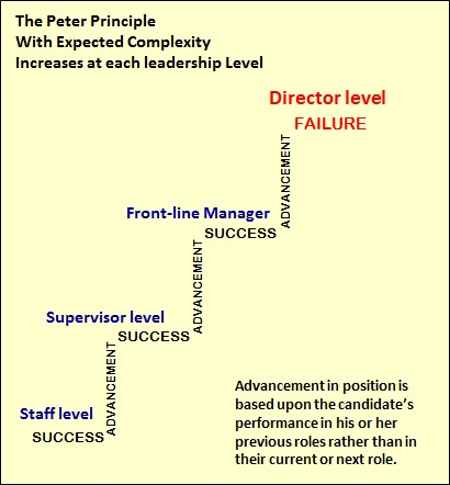 The Peter Principle has even found its way into Masters of Business Administration (MBA) curriculum as one strategic example how human resources should be managed effectively. Peter, with the help of writer Raymond Hull, wrote the book, "The Peter Principle: Why Things Always Go Wrong." Funny anecdotes include the insistence of some workers to maintain a clean desk to show competence on the job.. There is a surge now in hiring creative people for most positions, than one with exemplary records but with limited skill sets. MBAs still count for work that involves specific business functions such as financial accounting. But the core work that keeps a company alive, innovation, flexibility, adaptability, require people who can thrive under stress and provide out of the box as well as within the box solutions to work problems. 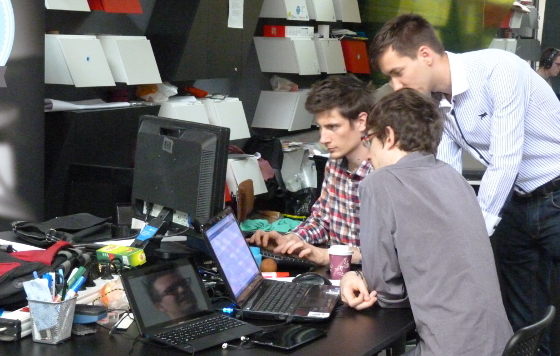 Start-ups innovate, hatch new ideas and put a new spin on old ones. But when an idea hits the big time, most of that work group's energy and resources are spent developing that idea and eventually stumbling blocks crop up. One very good mobile app, SPRINGPAD, got the funding it needed for its product, a note taking, web clipper and bookmarking service. It had a window of a few years to make the mobile app work. 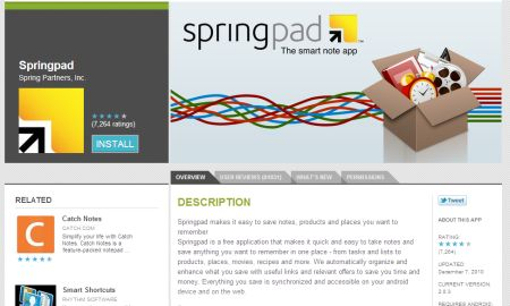 SPRINGPAD failed to create a working business model for monetization until it was too late, and the fast evolving web app environs took it out of the competition when Evernote and Pinterest were already doing what SPRINGPAD was offering. 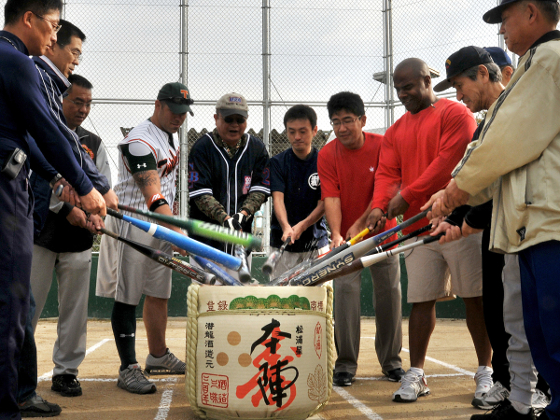 With huge and established user bases to monetize. SPRINGPAD poured all their resources on product development and forgot to put the time and money where it counted most, until it finally ran out of gas--developer funding. In this instance, incompetence becomes fatal. Perhaps the best way to address the Peter Principle in any organization is to structure work in a manner where people are assigned to where they are most competent and not have to worry about working up the ladder to get better pay. Your crew can get incentives if they can provide any help that makes the company become more productive. Otherwise a company with a hierarchy and a ladder for pay incentives needs to have a process for allowing incompetent workers to get demoted and return to a position they excel in. To avoid any trap is to be aware of one's skill set and avoid being blinded by the glitz of a promotion even if the pay is tempting. You might not even be able to wing it once you're there. These days startup work groups and companies don't even let you grow into your job: they expect great results the moment you sit down in your new desk. Some of the old guard do not understand that entrepreneurs don't have the window for growing into the market or can wait until you adjust and become proficient at your job--you're either a specialist from the get go and can DELIVER what is needed and MORE. If you feel a job with responsibilities you can't handle is not worth the risk, you can turn it down and keep your position: The author of the 60s book has referred to this tactic as Peter's Parry. So if you are going through the ropes, as an employee, know that there will be setbacks if you are in an organization that overlooks the Peter Principle. It usually costs a LOT of money to make even the smallest mistakes these days. Limit your margin for error. Be amazing at what you do and keep learning how to do even better. So your job never becomes something you can't handle.